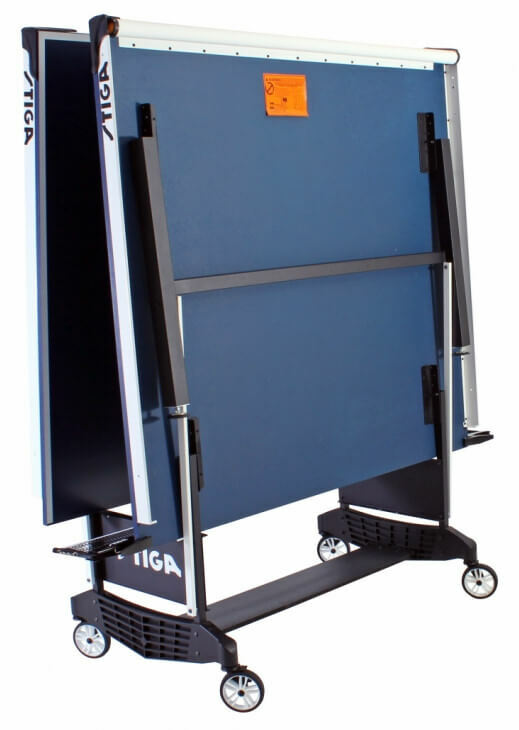 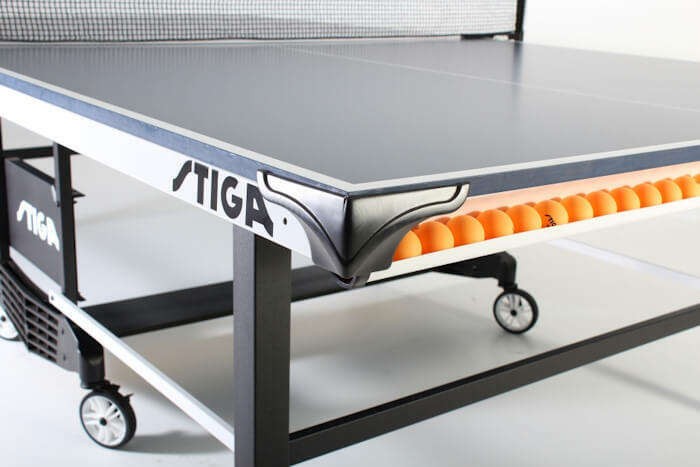 The Stiga (pronounced Steega) STS 385 T8523 is a tournament level table from an established brand. 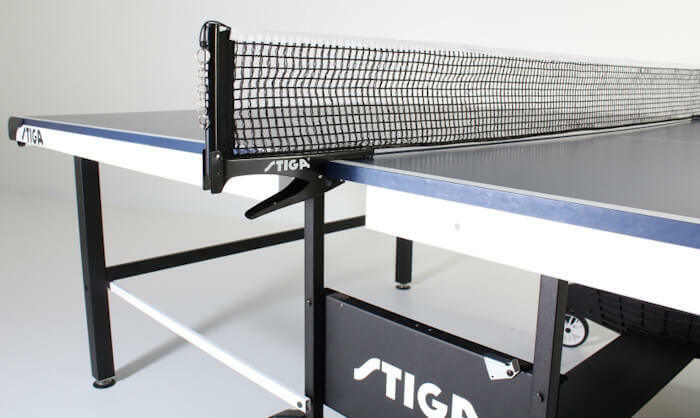 From the Stiga Tournament Series (STS) of tables, this is the third level in that series. 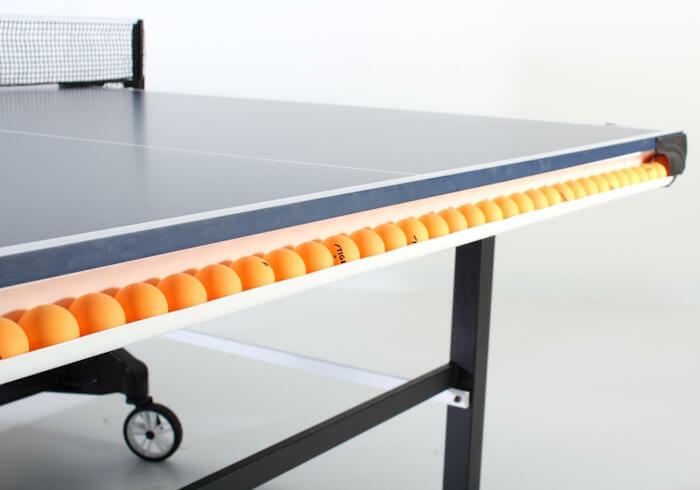 And with a 2 inch deep, powder-coated steel apron, which is underneath the edges of the table, this will help to provide stability and reduce the possibility of the table surface warping. 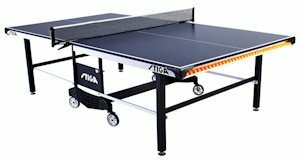 The 4 outer legs on this table are 2 inch heavy guage steel, with 2½ inch leg levellers and steel cross brace. 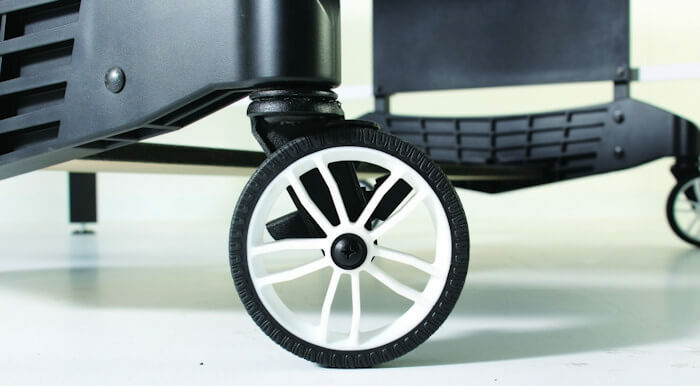 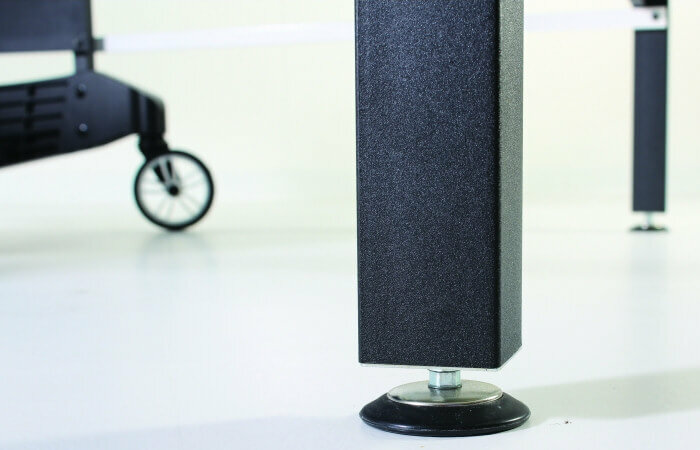 This means that if you have an uneven floor, you can adjust the leg height to compensate. 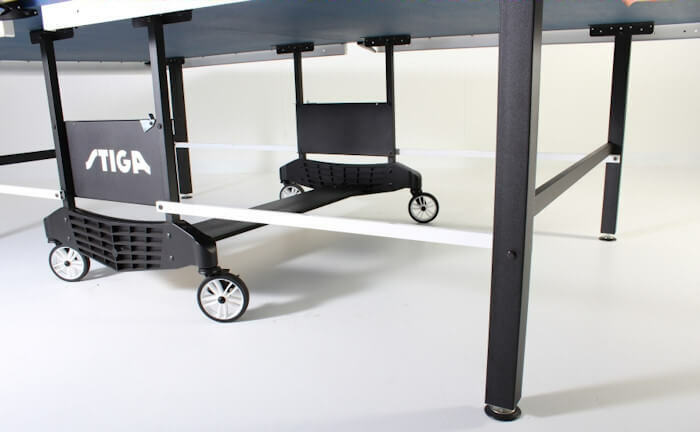 The undercarriage on this table is more sturdy than on cheaper tables, which means that the table will not move around when fully open and be less likely to collapse. 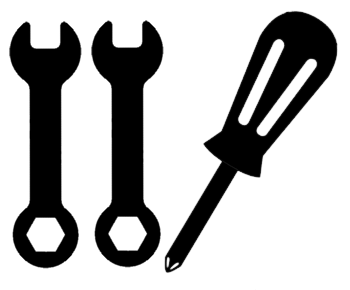 You'll also need two 9/16 and one 3/8 wrenches (spanners) and a Phillips screwdriver. 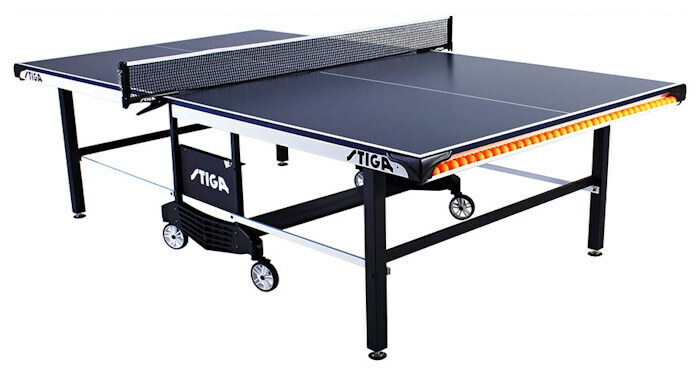 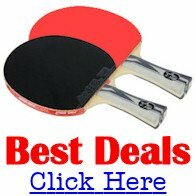 Who is this Stiga STS 385 T8523 Table Tennis Table for? 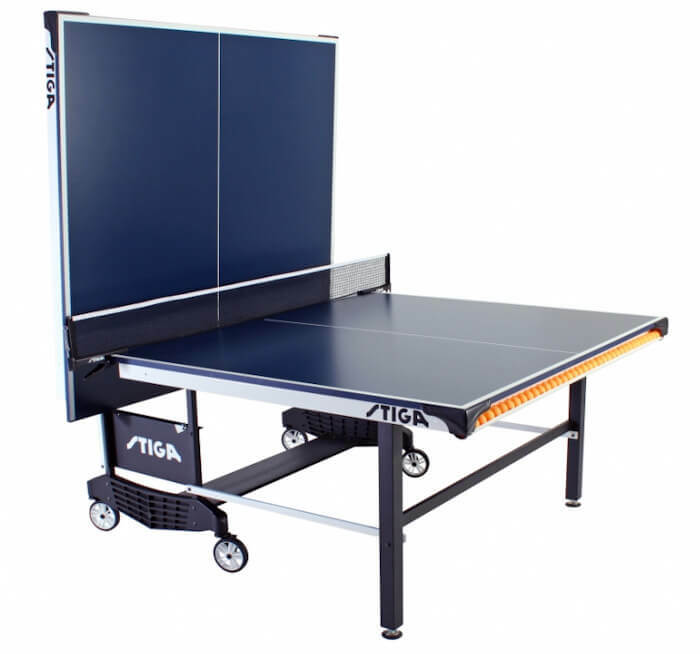 This table is primarily intended for players who want a good quality table at a reasonable cost.